It's a baby boy for New England Patriots quarterback Tom Brady! Oh, and his wife Gisele Bündchen, too. She of the perfect figure and the perfect hair and... Let's get back to that baby, shall we? Tom and Gisele welcomed a son Tuesday night. Brady also has a 2 year old son, Jack, from a previous relationship with actress Bridget Moynahan. As of posting, the baby was still unnamed. Brady told ESPN the birth of his second child would not affect his availability for Sunday's game against the Carolina Panthers. 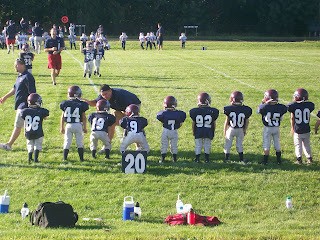 A game we all hope the defense will show up for. What's your take on the latest news splattered all over the headlines nationwide about the New England Patriots? His next comment: "I guarantee you Mangini (the Jets head coach) ratted them out." Me: "But I thought Mangini was Belichick's protegee and they got along!" Hubby: "They used to, until Mangini left to coach the Jets." You know what though? Just like in the movie The Crying Game, Belichick's "Spying Game" has left him caught with his pants down. We walked through the gates of Fenway Park on September 1st at 6:30 PM. Tickets scanned. Bags checked. ID ready (the first stop, after all, must always be the beer stand). Of the many, many things I love about my father, the fact that he has four season tickets to the Red Sox ranks pretty high during baseball season. 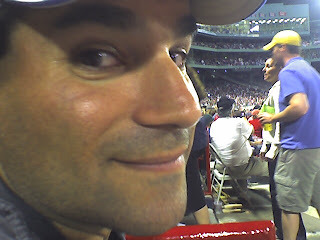 And he is extremely generous with his tickets, always making sure that each of his four children has the chance to take in a few games at Fenway. Still, back in mid-July, when he told me I could take the tickets for the September 1st game, how could I have guessed that I would soon be witnessing history? As my husband and I took our seats, I asked him who was pitching. I have to be honest, I was a little disappointed. 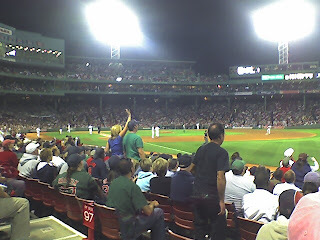 Sure, my parents had been at Fenway on August 17th, when Buchholz had pitched his first major league game – and won – against the LA Angels. But I knew that since then, he had been back with the PawSox, and not really standing out. I had been hoping to see Daisuke Matsuzaka or Tim Wakefield or Curt Schilling – you know, the big names. 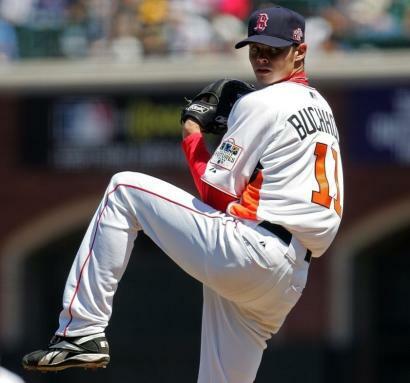 Clay Buchholz? Eh. Of course, within a couple of hours I would be singing a different tune. We started to realize around the 6th inning that something special was going on. Then I got a text from my dad in the 8th inning – Can you believe what you’re seeing!? You must understand, my dad is the definition of a die-hard Red Sox fan. When he was a teenager in the 1960’s he would hitchhike up to Boston just to stand outside of Fenway. Hoping to get a glimpse of Carl Yastrzemski or Tony Conigliaro. Hoping to catch a ball that made it out of the park. So I felt it was my obligation as his daughter to truly and fully appreciate the significance of this game. The stadium was wild. “Sweet Caroline” was sung with more gusto than ever before. The Wave went around an unprecedented 10 times. The sounds of “Hot dogs here!” and “Get yer peanuts!” were nowhere to be found. The vendors were engrossed in the game, too. 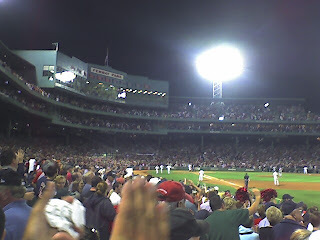 Everyone in the stadium was standing at the top of the 9th. Cheering, clapping, giving high-fives. Camera flashes lit up the crowd. And then Buchholz threw the final strike to Baltimore’s Nick Markakis, who watched it go by. Mayhem ensued. The excitement and camaraderie both on the field and in the stands was akin to a play-off series win. It was truly awesome. No other word could describe it. I am so glad we were there. I must issue a disclaimer. My husband is a Yankees fan. But as long as Boston isn’t playing New York, he has agreed to humor me and cheer for the Sox. Besides, I don’t know if my dad could hand over his tickets to someone who would be rooting against the home team – son-in-law or not. That would just be wrong, wouldn’t it? ...and his name is Clay Buchholz. Did you see this kid tonight? If not, you missed a piece of baseball history. The word phenomenon gets tossed around a lot in the baseball world, but in this case, it's completely justified. He was phenomenal. The incredible play by Pedroia in the 7th was what tipped it over for me and I thought "He might actually manage this." Twenty-three years old, second major league start ever (ever!!) and he throws a no-hitter. That is not something that happens every day. The last time it happened for the Red Sox was in 2002, with Derek Lowe pitching. There's a point during every season, it seems, when I start to realize that we're either going to go all the way or fail (again). Tonight was the night that I started to think we may actually pull this off again. I don't want to crow too loudly or get too cocky because, as I've said before, I'm extremely superstitious when it comes to my Red Sox. But tonight they team was on fire. The defense was outstanding, the pitching, of course, incredible. If we keep playing like this, we'll be golden. p.s. - bonus points to anyone who gets the title reference.